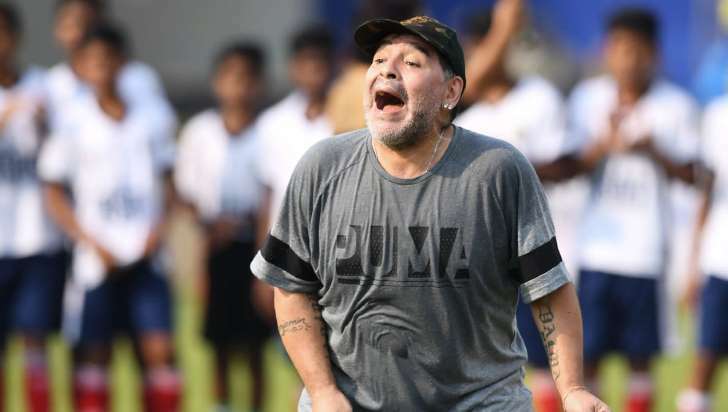 Diego Maradona’s application for a Unites States visa has been denied once again, after the Argentinian star insulted President Donald Trump. According to Spanish outlet ​Marca, Maradona said in an interview with Venezuelan television network TeleSur: “Donald Trump is a chirolita”. Chirolita is a popular insult in Argentina and refers to people who are under the orders of others like puppets. Maradona – who is now the manager of Al Fujairah in the United Arab Emirates – needed to travel to America to face a trial with his ex-partner, Claudia Villafañe, who made property purchases with her maiden name while she was already married. Who is the best Argentinean footballer to have lived? This is not the first time the Argentinian has had issues with the US border control. In 1994, he failed a drugs test during the USA FIFA World Cup, was sent home from the Argentina camp and ordered never to return to the country after his visa was revoked. Maradona was in the news last week for ​stating his belief that Cristiano Ronaldo is not the best footballer ever, with fellow legend Pele even claiming Lionel Messi was better than him. The Argentinian is likely to agree with Pele about his compatriot. Maradona continues his quest in management in the UAE Arabian Gulf League and since starting in April last year, he has overseen eleven games and only lost once.